Thread: Tim Mahoney on BEL; Bob Enyart to Alabama! Get Sequel Tickets for March 2019! The Moses sequel to Patterns of Evidence hits theaters nationwide March 14, 16, & 19! So RSR urges you to watch the trailer and get tickets early, for yourself and friends, because if it packs theaters like Patterns did, it may sell out at many of the 900 screens where it's showing! Filmmaker Tim Mahoney of Patterns of Evidence fame on the Exodus returns to BEL to discuss his sequel, Patterns: The Moses Controvery, appearing in 900 theaters nationwide as a Fathom Event! Get tickets for March. For that same mid-March weekend, Bob will be speaking in Decatur, Alabama on creation apologetics! For the details, see kgov.com/decatur. 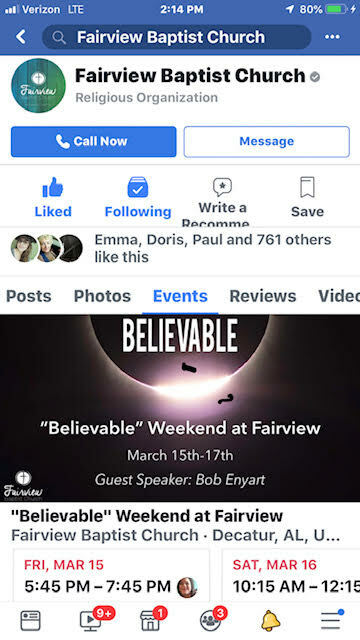 * Join Bob in Decatur Alabama for Believable! For his series on creation apologetics, Pastor Brian McLaughlin of Fairview Baptist Church is bringing Bob Enyart out for a fun and educational weekend of events beginning at the movies on Thursday night! - Thursday 6:30 PM: AMC Decatur 12 for Patterns of Evidence: The Moses Controversy (tickets; other cities) Report from Bob: "Pastor Brian McLaughlin of Decatur, Alabama and I went to the movies with some of his church familes, including Michael and Lynn Thompson's family and my wife Cheryl and our son Michael, to see Patterns of Evidence: The Moses Controversy, sequel to Patterns: TheExodus. Astoundingly, Tim Mahoney beat expectations! As defenders of the Scriptures, we’ve had plenty of evidence, physical, historical, and otherwise, for major biblical events including the creation, the Fall, and the resurrection of Christ. Though God's Word of course is beyond sufficient, the Epistle to the Hebrews teaches us that faith is the proper response to the "evidence for things not seen." Yet for one of the most dramatic historical events though, the Exodus, we've always had precious little evidence outside of the Scriptures. And God does point to the evidence. Look at the stars. Look at the creation. Look at the prophecies. Now, look at the evidence for the Exodus! And find out when the first alphabet was invented, where, and by whom! It turns out that yes, Moses could have written Genesis, Exodus, Numbers, Leviticus, Numbers, and Deuteronomy, because he had the tools at his disposal, the 22 letters of the Hebrew alphabet! Thanks Tim Mahoney for these powerful films!" - Friday 10:00 AM Madison Academy high school presentation to combined classes and the former principle. What a great time was had, and fabulous questions! Update: ICR's Acts & Facts gives a shout out to RSR in their current March 2019 issue where Brian Thomas writes about our online spreadsheet, List of Biomaterial Fossil Papers (maintained), "Real Science Radio host Bob Enyart and I continue to curate that growing list online." Thank you Brian, Henry Morris III, and everyone at the Institute for Creation Research!